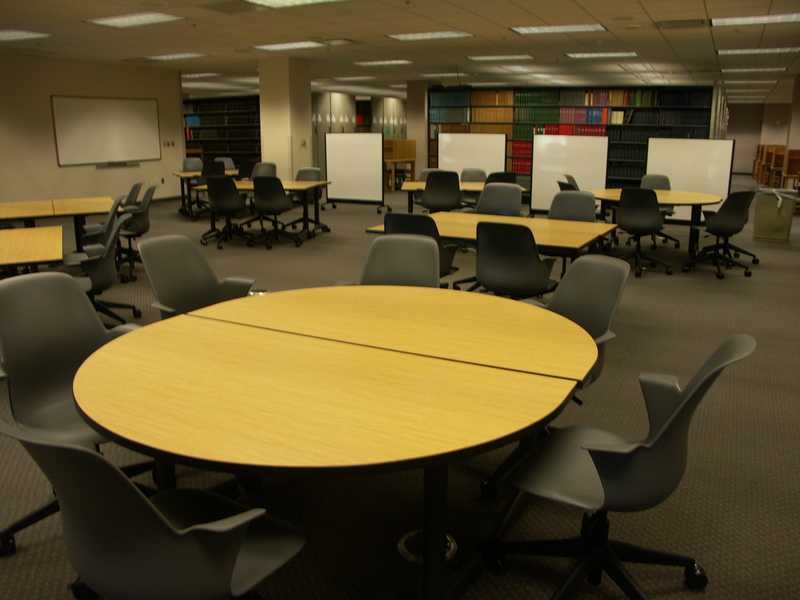 The primary purpose of this space is for library sponsored presentations and instruction. 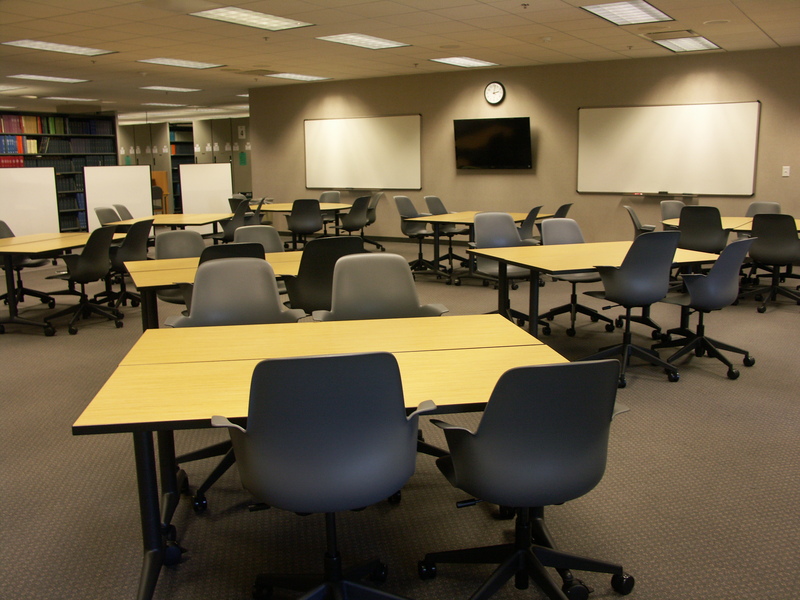 This room's flexibility allows for multiple presentation options and uses. The basic layout seats 70. The flexibility of this space allows additional seating up to 120.